14KT rolls “double sixes” with his EP, A Friendly (Vocal) Game of KT. 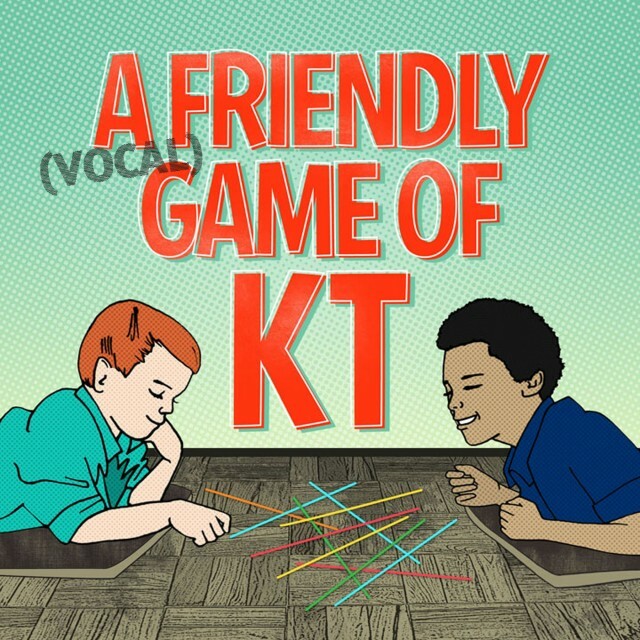 Ypsilanti’s golden child, 14KT, has flipped some of his instrumental magic into full-fledged songs on the new EP A Friendly (Vocal) Game of KT. The original instrumental project was rife with earth quaking bass lines, precise drums and heavenly synths. Now the vocal version pairs select beats with equally select MC’s to tease a few great instrumentals into a few classic songs. MMG all-star Oddisee and his soul singin’ comrade Olivier Daysoul lace the murderous drums and guitar sample of “One 4 Black,” turning it into “High Horse.” New York rhyme wizard Skyzoo and the amorphous The Black Opera are also on board to lend their vocal expertise. Though the short project is stacked with indie rap heavyweights, one of the brightest spots on the album is when KT picks up the mic for the all-new “AsWeContinue.” The introspective track finds KT pouring his soul out in rhyme, opening up about a tumultuous 2011 that left our shining star depressed and the faith that led him out of that. Stream and download below. It’s FREE!